Christine Loh is the CEO of the Hong Kong-based non-profit think tank Civic Exchange. 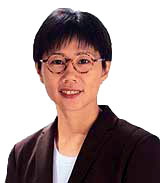 Loh is a lawyer by training and a commodities trader by profession until 1992 when she became a member of the Hong Kong Legislative Council. Since then, she has focussed on public policy and political developments. When she stepped down from frontline politics in 2000, she founded Civic Exchange. 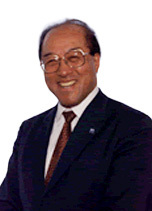 Loh has written extensively on many issues, including sustainable development, urban planning and constitutional development. She is a sought after speaker both locally and internationally. Markus Shaw [邵在德] was almost born in Hong Kong, arriving in a London hospital in September 1959 and in Hong Kong six weeks later. At the age of 13 he was sent to England for his education, which he completed with a degree in History at Cambridge University. After attending Law School, he joined the City law firm Linklaters. Following six years as a corporate lawyer in London, Singapore and Hong Kong, he joined the family business in 1992. Mr. Shaw is a Managing Director of his family's investment office. He has wide experience in the investment management world and has had active management involvement in many portfolio companies. Married with three children, he maintains a keen interest in literature, history, music, photography and the great outdoors. 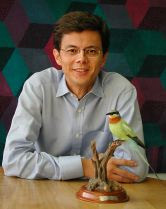 Committed to the preservation of the environment, he has been Chairman of the Worldwide Fund for Nature, Hong Kong, since 2000 and a member of WWF's International Board since 2005. He is also a member of the Hong Kong Government's Advisory Council on the Environment. Paul Zimmerman has a Masters in Business Administration from the Erasmus University in Rotterdam, The Netherlands. In 1987, he founded the Bridge Design, an identity and corporate literature design company in Hong Kong which he sold in 1998. In 2000, Paul founded The Experience Group, a consultancy advising business leaders on strategy and policy development. In 2003, Paul Zimmerman was appointed Executive Director of MF Jebsen International, an investment holding company with direct responsibility for MF Jebsen Automotive (Aston Martin and Triumph Motorcycles), Jebsen Travel and Pacific Aviation Marketing. Paul Zimmerman is also Convenor of Designing Hong Kong Harbour District and Vice-Chairman of the Coalition on Sustainable Tourism. Mr. Peter H.Y. Wong is a Chartered Accountant and Consultant to Deloitte Touche Tohmatsu. He was previously President of Hong Kong Institute of Certified Public Accountants from 1984 to 1985, Legislative Councillor from 1988 to 1995, Board Member of the International Federation of Accountants, Chair of Advisory Council on the Environment and Social Welfare Advisory Committee. He was appointed in 2005 to the Council of the Institute of Chartered Accountants in England & Wales. He has extensive experience in the Environment, Social, Health and Economic fields. Presently, he is Board Member of Global Reporting Initiative which sets the Guidelines on Sustainability Reporting and the Chairman of the Business and Professionals Federation of Hong Kong. He has recently been re-appointed to the Greater Pearl River Delta Business Council and the Executive Committee of the Commission on Strategic Development.